Oceanfront ground floor Vilano Beach condo steps to the pool and a walkway to the ocean. Residential feeling at this private 6-unit condo building. 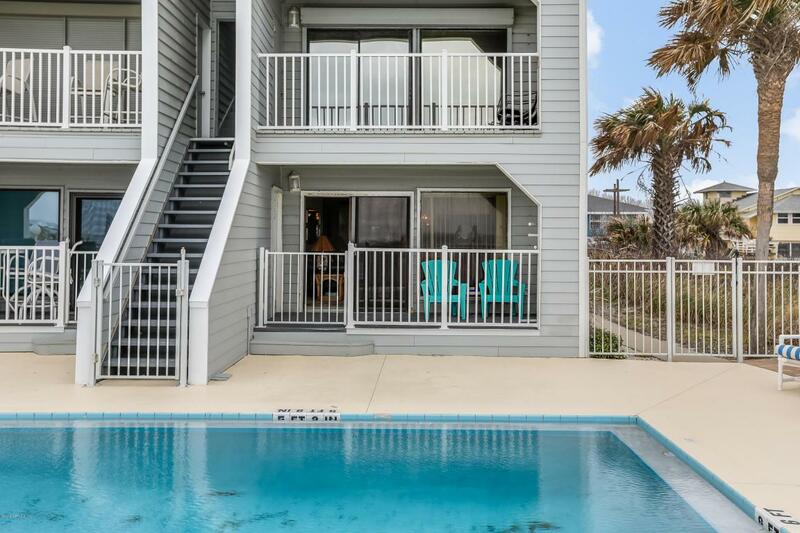 Two bedroom 2.5 bath, kitchen looking out to dining/living combo with direct view of the ocean. Detached 1-car garage and one reserved parking space plus visitor parking. Listing courtesy of Vilano Beach Town Center Realty.